Looking for an easy Halloween craft for kids? It doesn’t get much simpler than this cute repurposed toilet paper roll mummy! This post contains affiliate links. Kids love exploring through crafts. Sometimes, the best crafts for kids are the simplest ones that really let them utilize their fine motor skills and create something they can be proud of. This Halloween craft for kids not only does that, but it can be created using items you already have around the house including old toilet paper rolls. Halloween is the season for all things spooky, so these DIY repurposed toilet paper roll mummies are the perfect craft for your little ones. It only take a few minutes to make, and kids will love the finished product: a mummy of their very own! Take a peek below at how with minimal supplies and time, you can make your own. That’s it! 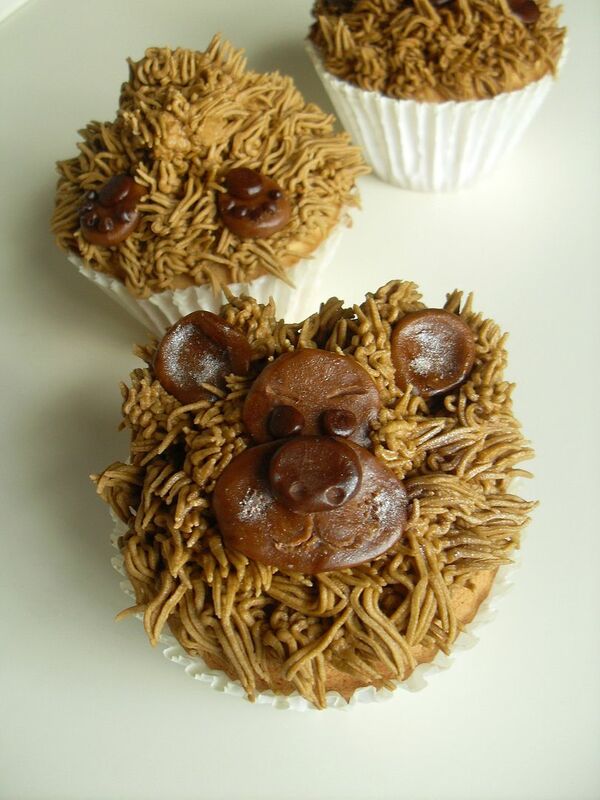 How often do you get to to create something this cute with just five supplies? If you are unsure where to find google eyes at, Dollar Tree and other dollar and craft stores tend to sell them. So as you can see, this craft is not only fun but frugal as well. Remember if you shop at a store like Hobby Lobby, be sure to visit their website and print off the 40% off coupon before you shop for additional savings. Cut the paper towel into long strips. Kids will enjoy this part and it is a great time to encourage the practice. Place a dab of glue at one end of one of the strips. Press it firmly to the paper roll and begin wrapping it around. When you get to the end of the strip of paper, add another dab of glue and secure. Continue this process until you have used all of the paper towel strips. Find a small opening in the strips of paper. This is where the mummy’s eyes will now peek out at you. Add a few dabs of glue and press the google eyes firmly into place. You can pull a bit of the towel back over the mummy’s eyes so it really looks like he is peeking to see who is there. That’s it! Your little mummy can now go on a mantel, desk top, dresser top, or can even function as a fun puppet for your child. These are so easy to make, you can save all of your toilet paper rolls for a few week and make a whole family of mummies if you wish. 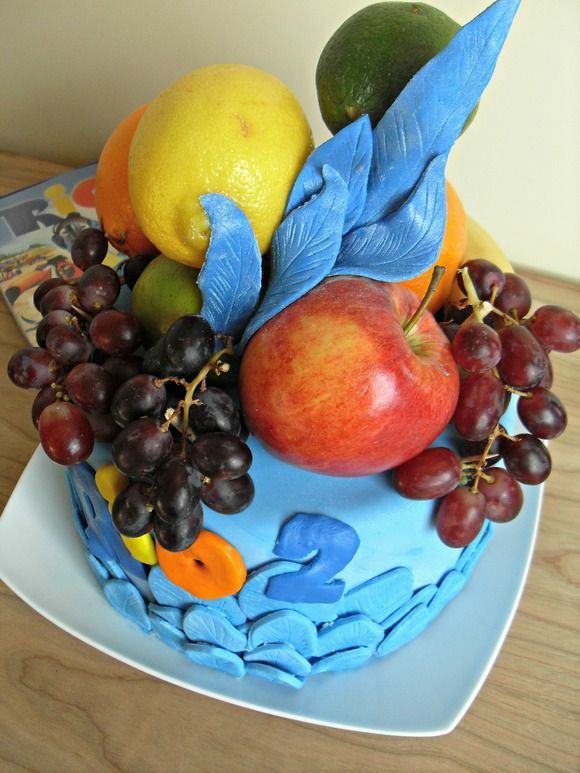 Either way, children are sure to love the simplicity of this craft as will you. 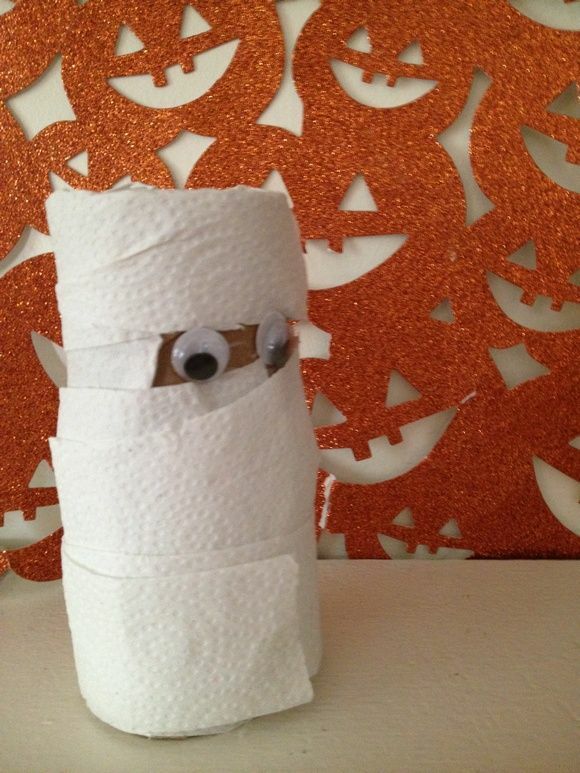 If you are looking for a fun and frugal Halloween craft that won’t scare little ones and is simple for them to do, this repurposed toilet paper roll mummy fits the bill well. So head to your local dollar store and dog up the supplies you need to create your own. You are sure to have a hauntingly good time together doing so! Looking for another great Halloween craft for kids? Check out our cute and easy Flower Pot Pumpkin craft! Melissa Vera recently posted..Looking for a Dress for A Formal Occasion? I love this sort of craft! It’s so fun and inexpensive to make. 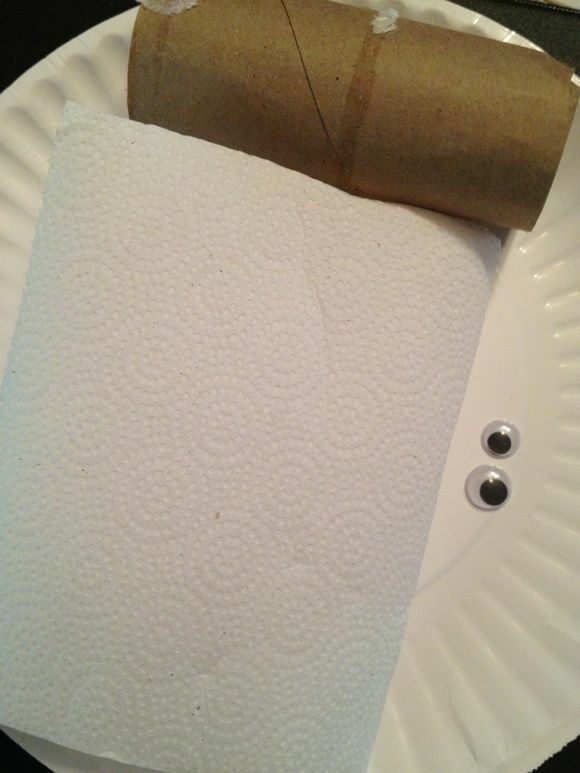 I knew somebody was gonna come through for me with a craft for these toilet paper rolls. 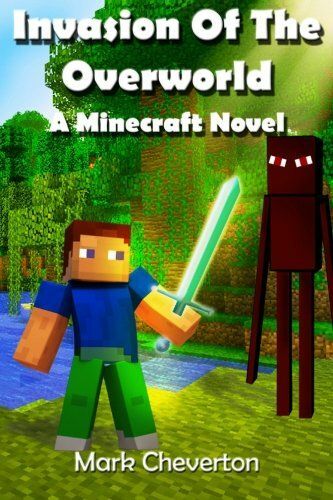 I’ve just been waiting for the right craft – and this is IT. 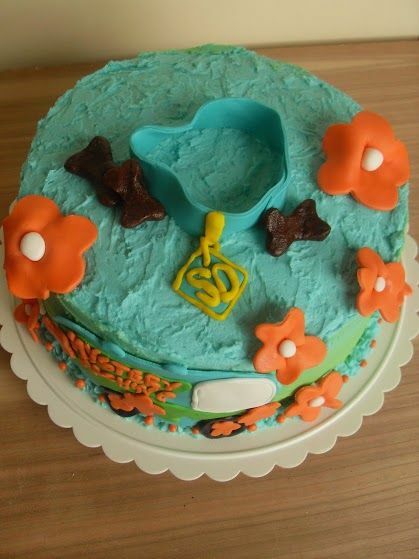 My kids will love it and so will their friends. We’ve been talking a lot about mummies lately, and not just in conjunction with Halloween. They’ve even been studying a little about mummification. Thanks! Elizabeth Towns recently posted..Have you ever had a crush? Enter to win movie tickets! This is a cute and frugal craft idea for kids. Thanks for sharing!